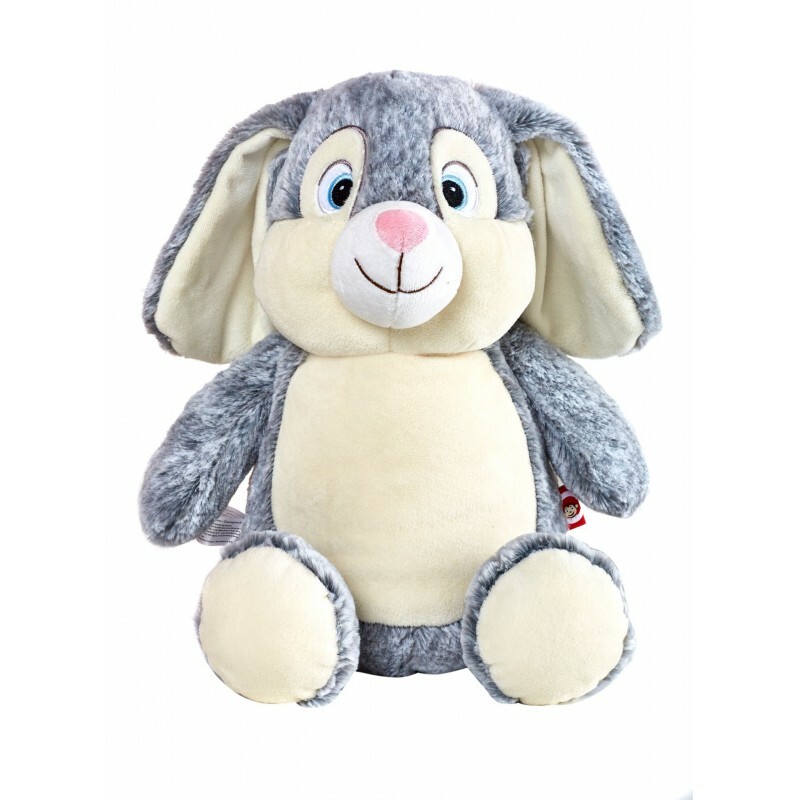 This personalised grey Cubbie bunny is incredibly soft and cuddly with floppy ears and a happy face guaranteed to brighten anyone’s day. 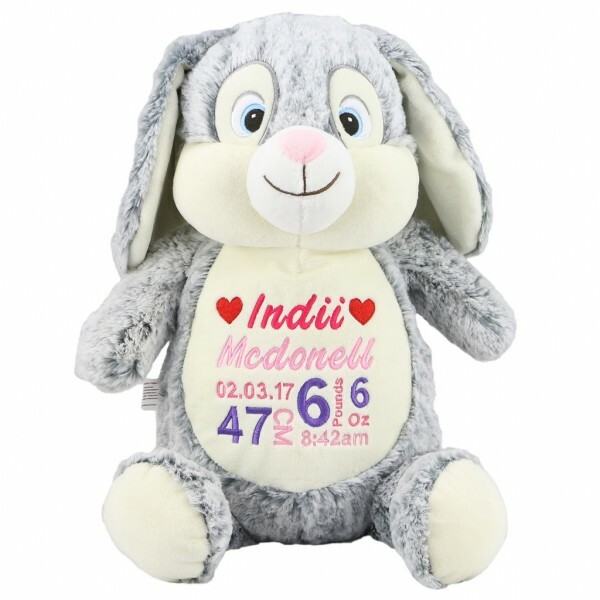 This Cubbie Bunny is pale grey and has a plain tummy perfect for personalising with any of our customisable embroidered designs or pre-set options. This adorable bunny is one an Easter time favourite, making a much more special and long-lasting gift than chocolate. She’s also perfect for birthdays and newborns (complete with embroidered birth details), offering cuddles and smiles everywhere she goes. 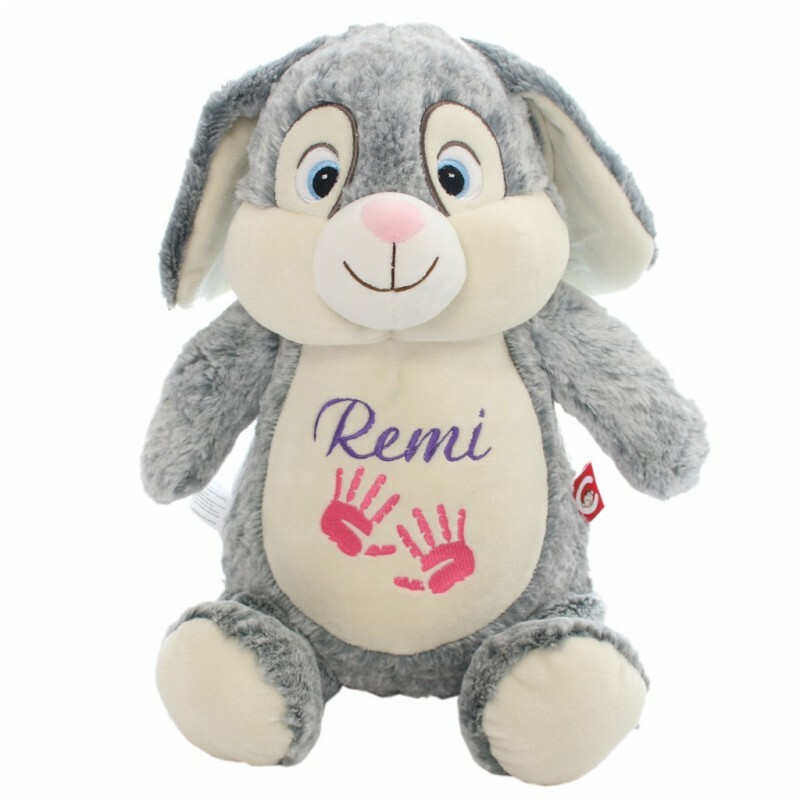 If you have any questions about our Personalised Grey Cubbie Bunny, don’t hesitate to get in touch.